This term we will connect with each other for learning outside of class hours via SMS or WeChat (on internet connected mobile phone or tablet) or email, and with other classes via our Kidblog. 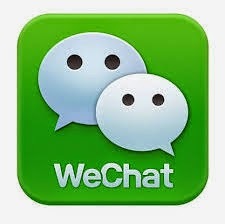 If you have an internet ready mobile or an ipad/ tablet, please download WeChat so I can add you to our Group chat. I will post no more than one or two chat items each week and I look forward to your participation in the chats. OR you can reply to my text messages about class work. I would like you to post at least three times at Kidblog. You can do this anywhere as long as you remember your Username and your simple password because our Kidblog is closed at the moment. Some instructions for using a mobile phone feature, like how to delete text messages or how to put a photo on your Wallpaper. A new technology or skill that you have learned to use recently that helps you get connected either for learning (WeChat / Kidblog) or for another part of your life, like lodging your Centrelink form or filling out a form online to apply for something. give your opinion about the subject. 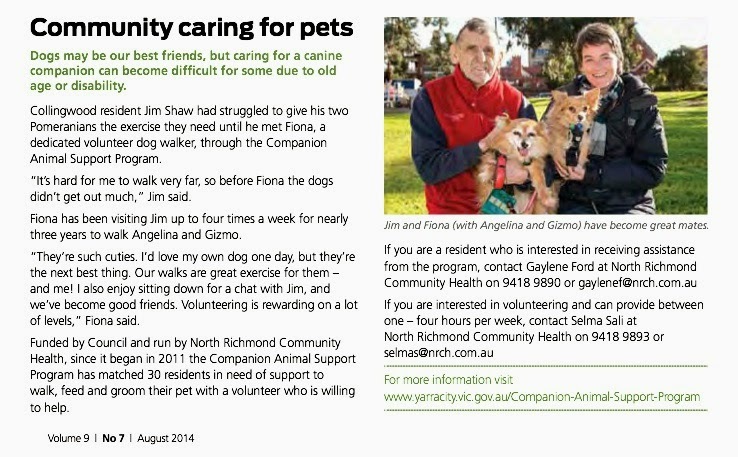 Here is the news story about volunteering in the Companion Animal Support Program. You can write a post about this program - main ideas and what you think about it. We will practice some job interviews for this position too. Do you need help with starting to use Kidblog? Look at the How-to post at Kidblog presentation here.